The “Social Media” term refers to the collective of online communications channels or services, that allow community-based creation and exchange (collaboration) of user-generated content (UGC) . A large variety of social media types have emerged with different characteristics and philosophies. Therefore, users share UGC in several social media services, in different formats (e.g. text, video, etc…). 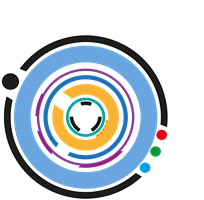 COGNITUS will attempt to explore this type of information sources redundancy to leverage the process of metadata semantic collection associated with media content. It is important to contemplate the fact that different types of social media provide different types of content in distinct settings. Streaming services like Twitter and Facebook provide an almost real-time content source, while video services like Youtube and Vimeo provide large databases of High-quality (HQ) video content. Identifying the relevance and quality of UGC in the context of COGNITUS is crucial. In additional to the available media contents in social media services, these services usually provide quality and reputation factors/metrics (e.g. “likes”, “retweets”, number of visualizations, comments, among others …) which COGNITUS will analyse to assess which ones provide a good insight regarding the relevance and quality of media content. With the emergence of ultra high definition (UHD) technologies and the ubiquitous internet, UHD user-generated content is becoming increasingly available in social media services. As a clear example, the Vimeo video platform currently only accepts HQ videos, which makes it a HQ video source for COGNITUS. Furthermore, in the next few years it is expected that we will witness a proliferation of UHD content across social media platforms, which confirms the necessity to research how to enhance UHD broadcasts by combining it with quality UCG.